Yesterday morning I worked with 70 four and five year olds then in the evening I started a course of four sessions with an art group in Myshall, a busy day you might say. 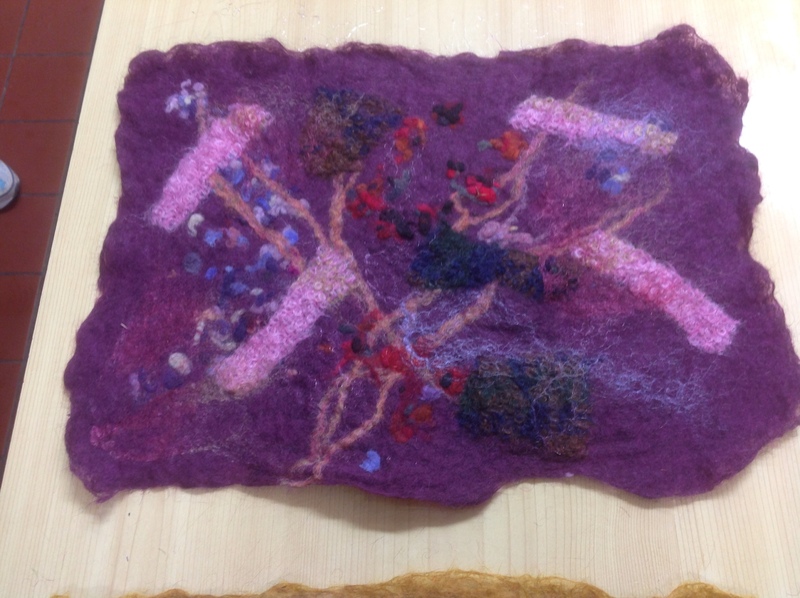 I'll be posting before and after pictures of all the wonderful felt pictures to FB later this afternoon but here's a little taster for you to enjoy now! 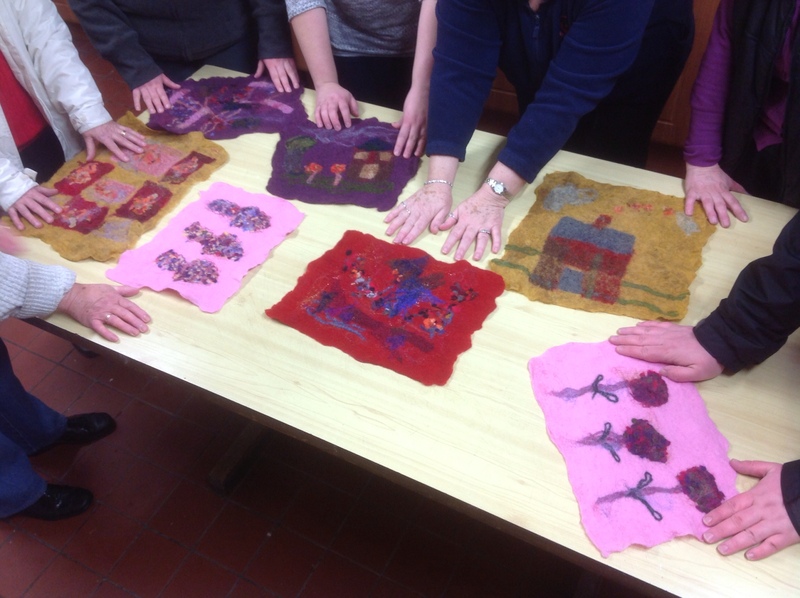 I think that the participants did amazing work, none had ever felted or handled wool batts before, it was a wonderful night! 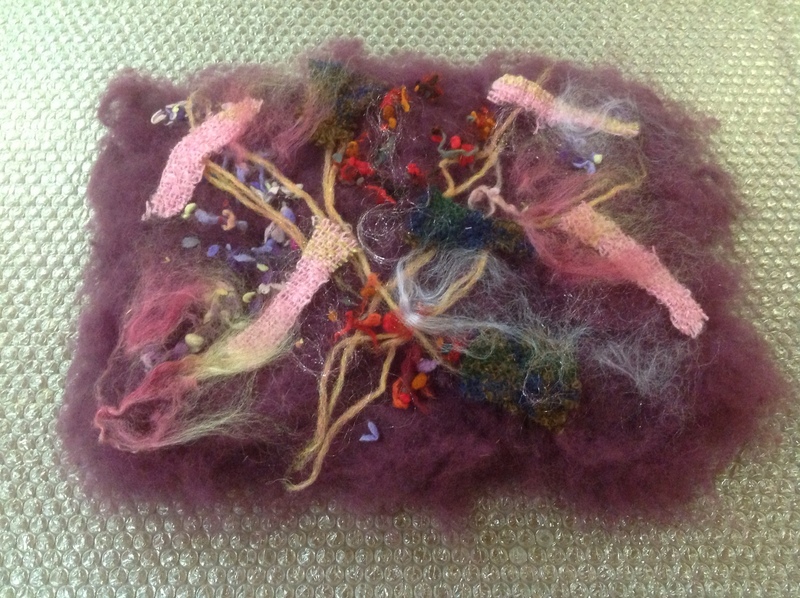 This entry was posted in Felt, felt picture, workshops and tagged class, classes, flat felt, flat felting, flat felting class, workshop, workshops with Nicola Brown by Nicola. Bookmark the permalink. So lovely works from the little hands! Nicola, you’re mighty to manage such big groups. My hats off !